General Information: Sesame leaves and sesame seeds come from a flowering plant called Sesamum indicum, which is an annual plant that grows to about 1.5 to 3 feet in height. Sesame leaves (kkaenip herb as known in Korean) are similar in flavor to fennel. They have that slightly exotic licorice flavor. Ethnic: In Korea, where perilla is an important flavouring, the plant is known as tul-kkae [들깨]. This name literally means “wild sesame plant”, although perilla and sesame are not particularly closely related. 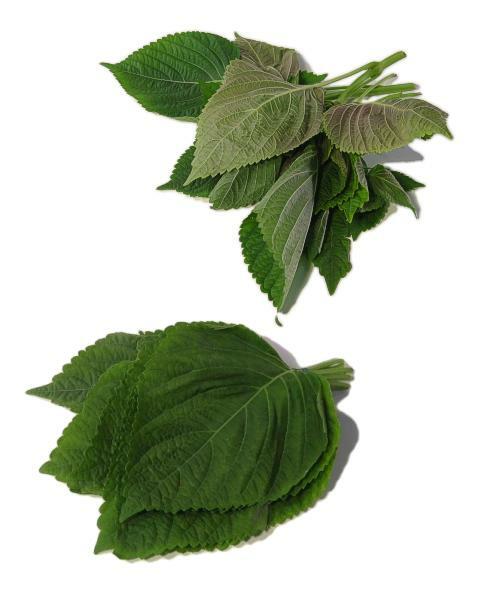 Also kkaennip [깻잎] (“sesame leaf”) is a common designation for perilla in Korean. In some languages of the Middle East, sesame is named differently: Pashto kunjite [كونجتې], Kazakh künjit [күнжіт], Turkmen künji and Azerbaijani küncüt evolved via Modern Farsi konjed [کنجد] from Middle Persian kunjid. The word was borrowed by Russian as kunzhut [кунжут] and entered a few more Western languages, like Estonian kunžuut and Yiddish kunzhut [קונזשוט].